Back at the end of January I was so happy to be selected to get to preview this awesome movie from award-winning director James Moll before its release. At the time it was the most recent cut from just the week before and was just about finished. I am very supportive of this film and I think it is a perfect date night for Thursday, May 1 in Sioux Falls, SD. If you want to read more about it check out their website for Farmland. And if you are selected for the two tickets you will also be invited to a small get together after the film to meet one of the farmers featured in the film for a short Q & A. This is a great opportunity to get your questions about food answered! So, how can you get these two tickets you ask!? First off make sure you Like Me on Facebook. That will get you one entry. For a second entry please comment below with why you want to see the film! And for a third entry share my Facebook page on your personal Facebook page! 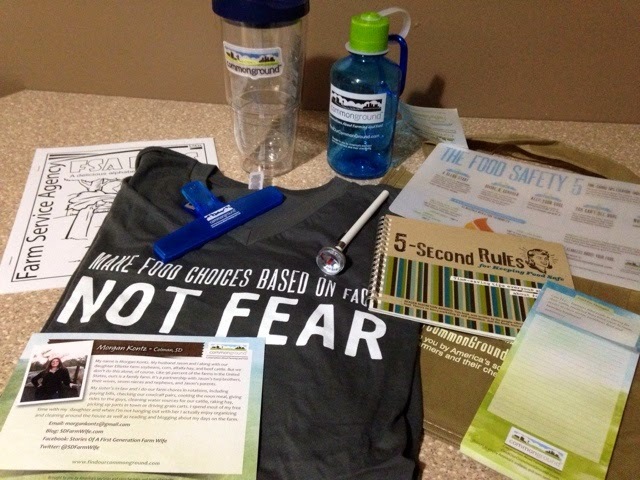 For those of you that are not from the Sioux Falls area…No worries, I am also giving away this grab bag filled with fun CommonGround items just for you! A bunch of goodies- but my favorite that I use EVERY single day has got to be that large Tervis cup. And the meat thermometer! (And for the winner selected for the two tickets I will also have a small grab bag for you at the film!) One entry for Liking Me on Facebook. Earn a second entry with a comment below. And if you really want to have a chance you can earn a third entry by sharing my Facebook page on your page! The give away ends next Wednesday, April 30 at 1 P.M. Good Luck! Previous Post: « Oh, What’s In A Label?? Thanks in advance from Texas. Farmers are the heart and soul of our fresh foods we receive, plus they are up before the sun comes up and still at it when the sun goes down. Bringing you fresh vegetables, beef and plenty more. It is also a dangerous job at times! I respect everything they do!! Isn’t it crazy how most Americans have never stepped foot on a farm or even talk to farmers about growing their food? It’s sad that so many people are eager to criticize farmers and farming but don’t truly know what’s going on and what all it takes to grow food for the world. I can’t wait to go and see this movie. 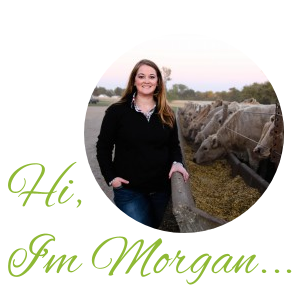 One of the farmers featured is from the area where i grew up. I hope to see the movie if it comes to my area! Oh, and the prize pack looks great. I would love to see the movie. It amazes me how some people are so ignorant about their food. I even had to set my aunt straight about pork. I filled her in about my tour Moms on the Farm that I took last summer. She wants to take the tour this summer! Your blogs are awesome!!! I am marrying a dairy farmer in September, and will be a first gen wife too! I am so excited, I love reading your blogs!! I’m not sure if the movie will make it this far South, but if it does, we want to see it. It sounds like it will have some great information, as we are always encouraging the younger generation to consider farming. We only have a small farm, but let them know that they should never limit their dreams. If they have questions about larger farms and row cropping, we have friends who are large scale farmers that love to talk about it!